I've done way too much French baking lately. Especially taking into account that the air temperature holds at -20C for the second week in a row and everybody needs real food. Hot, simple and nutritious. Whenever it gets so cold the same thing happens to me. Not only I start eating like crazy. I just have to have as much butter, chocolate and other greasy food as possible. That's exactly the occasion where Russian cuisine can show itself in the best light. Traditional soups like shchi and borscht become absolutely invaluable. Hot, with sour cream and bread. If I was writing this blog in Russian, I'd now get 100 comments saying that borscht comes from Ukraine, not Russia, but as I write in English, I don't have to worry about that. Porridge is another beautiful winter food. It's very comforting and it keeps warming you up from the inside for a long time. 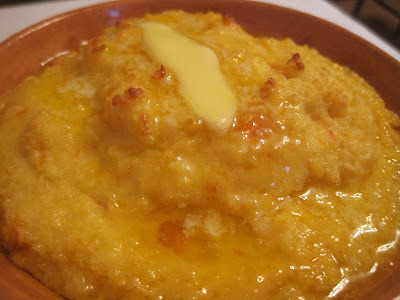 Millet porridge with pumpkin is one of my favorites especially when it's not just cooked on the stove, but baked in the oven. Then it get's its amazing golden crust. And apart from the crust, I don't know why but it's so much tastier to eat the porridge from a clay pot! 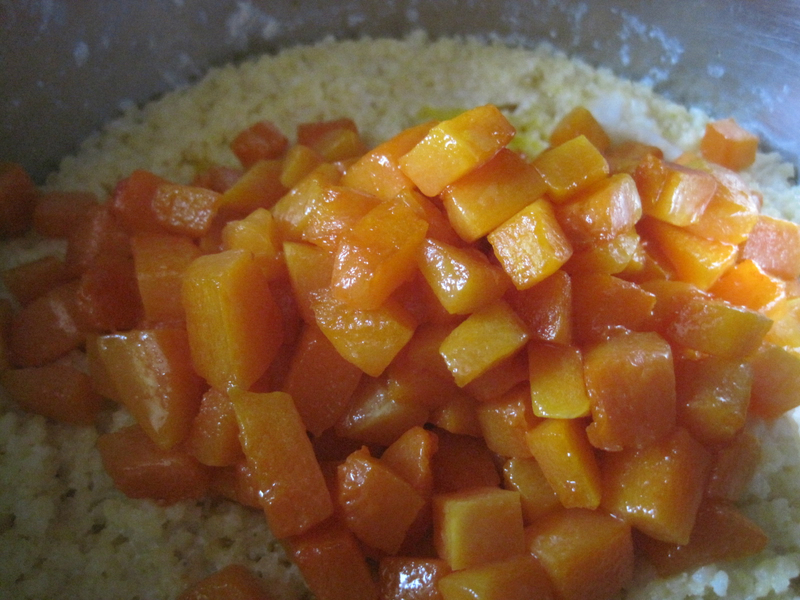 Rinse the millet using a sieve under cold water, then under hot water till the water runs through the millet clean. Bring the milk to boil in a medium pan, add the millet, season with salt, cover with a lid and cook on the low heat for 20 minutes. Melt 1/2 of the butter in a medium frying pan. 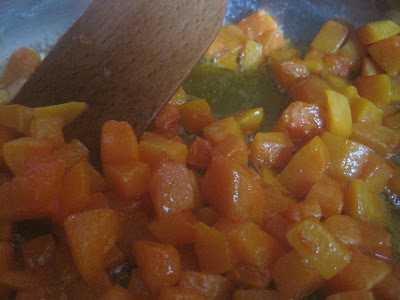 Add the pumpkin and cook on medium heat stirring occasionally for 20 minutes. Heat the oven to 180C. 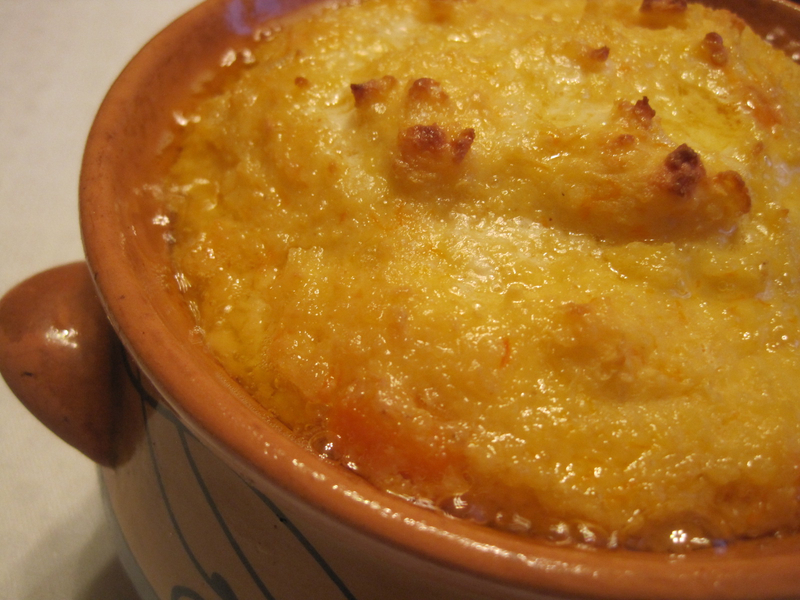 Put a bit of butter into the clay pot (or other baking dish) and heat the pot in the oven for 3-5 minutes. Take the pot out and turn so that the butter covers its sides. Combine the millet with the pumpkin and place the porridge into the pot. Bake for around 20 minutes till the porridge gets golden crust on top. Take out and add the rest of the butter. 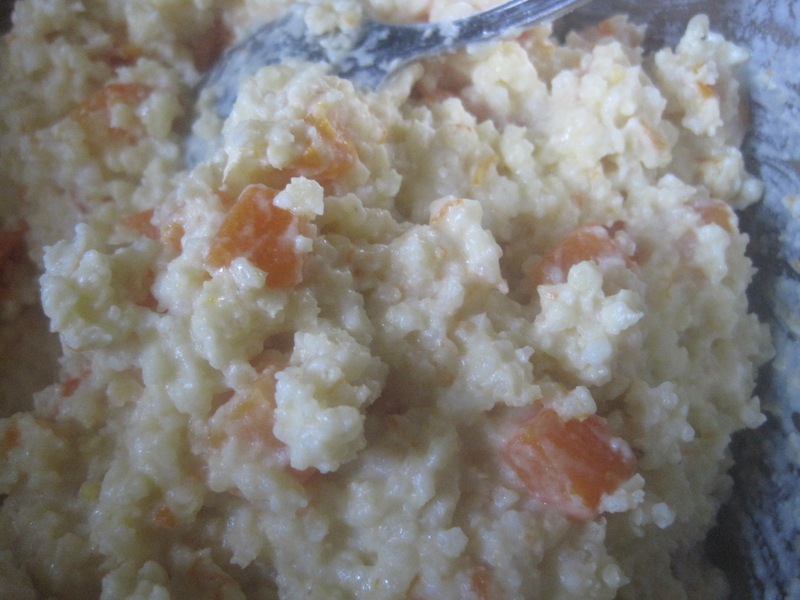 Then take your spoon and deep it into the porridge while the butter is still bubbling around the clay pot and try it. Be careful - hot - but isn't it delicious? Now call everybody else to start eating. hey--borscht is from Ukraine, not Russia ;)This recipe looks delicious!